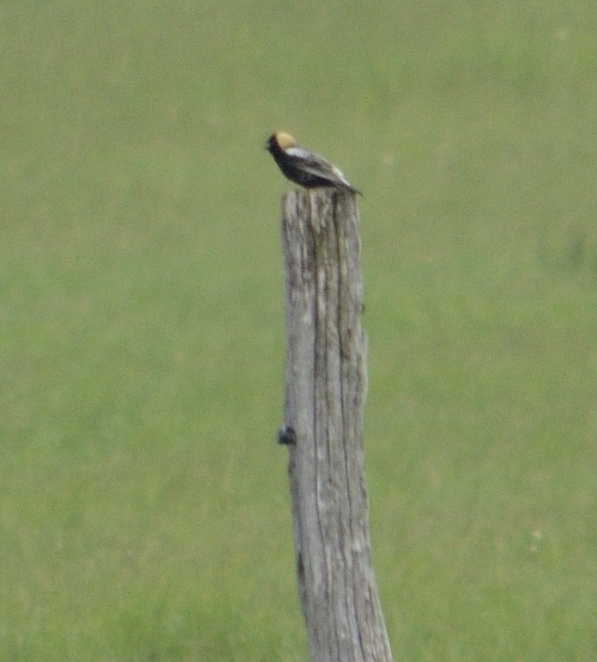 I have been trying; without any success to get a Bobolink photo since 2007. Finally, on 6-9-2013 one sit still long enough for me to actually press the shutter button. This bird was on the White Grass cross country skiing property on Freeland Road in Tucker County. It was still too far away for a decent shot. But, as I have said before; a bad photo for the collection is much better than no photo. Over the years, I have not had any problems with finding Bobolinks. The problem has been that they do not seem to want to pose for me. I just can't get them to sit on power-lines or roadside fence posts. Maybe my luck will change since the ice was finally broken. SUMMERSVILLE, W.Va. – The West Virginia Division of Natural Resources in cooperation with the West Virginia Professional Outfitters Association (WVPRO) stocked 1,500 pounds of rainbow trout in the Summersville Dam tailwater of the Gauley River on June 5. The goal of the stocking is to enhance trout fishing opportunities in the Gauley River, especially in the remote canyon section of the Gauley River, according to DNR Director Frank Jezioro. The trout stockings were conducted by helicopter and should provide good fishing in the summer and fall, Jezioro said. The program is supported by rafting fees to compensate for additional days of whitewater rafting flows on the Gauley River and reduced fishing opportunities during these high flows released from Summersville Dam.